Young, Fun, and Successful are the types of wedding couples that Seth and his team at Rhythm of Love get pumped about. 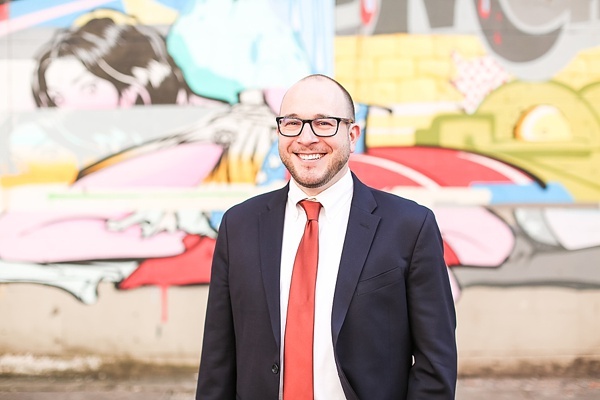 With a focus on outstanding customer service, a former talented musician himself, and a keen ear for tunes, Seth thrives around all things musical and keeping the happy vibes going on a wedding day. There's nothing that gives him more joy than seeing couples and their loved ones having a good time. You could say that "Best Day Ever" is how Seth believes a wedding day should be. 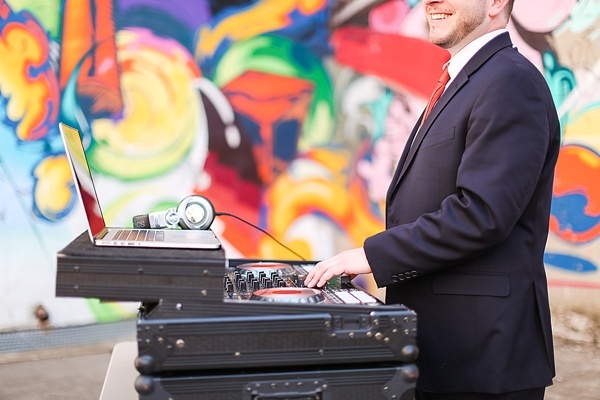 His tech savviness and his professional experience as a wedding DJ both help lovebirds feel at ease and taken care of when this music guy is behind his table. We all know DJs can have mixed reviews between "yikes!" or completely, totally awesome, and his online reviews from his past clients have said that Rhythm of Love falls in the latter category of totally awesome. Based in Richmond, but available for travel all over Virginia and beyond, Rhythm of Love specializes in pre-ceremony, ceremony, cocktail hour, and reception music. Need audio like wireless microphones during your vows? Seth and his team have that, too. It's basically a "if you can hear it, we can make it happen" kind of situation! When Seth isn't making fab playlists and organizing reception timelines, you can likely find him at the beach during his vacations and other warm sunny days. Since he was a kid, the Outer Banks has been his personal favorite vacation spot, and he tries to get down there as much as possible. Bring on those summer temperatures and tunes!